Take-Two: MMOs Don't Work in the U.S.
Take-Two CEO Strauss Zelnick says his company is actively investing in MMOs, but not in North America. Bobby Kotick, President and CEO of World of Warcraft parent Activision Blizzard, probably thinks MMOs are the greatest thing ever. John Riccitiello, whose experience with Star Wars: The Old Republic went a long toward costing him his job at the top of Electronic Arts, likely has a different feeling about them. But they've both made a point of professing their belief that MMOs are a potentially huge market and source of revenues. Take-Two Interactive CEO Strauss Zelnick is rather less committed to that view, however, telling an audience at the Cowen Technology, Media and Telecom Conference that the current state of the genre is proof that MMOs just don't fly in North America. "We're actively investing in online MMOs; we're not doing it in the U.S. Why? Because MMOs don't work here," he said. "A couple of our competitors have found out that through very, very expensive lessons - one of our competitors just recently announced they're restarting an MMO project in the U.S. We look at it and say, 'How many MMOs have ever been successful in the US?' Two. World of Warcraft and EverQuest. That's kind of a bad slugging percentage." North America might be a bust but MMOs are big business in Asia, which is where Take-Two is placing its bet. It's hooked up with Chinese gaming company Tencent to make NBA 2K Online and is also working on a Civilization-based MMO for the region. 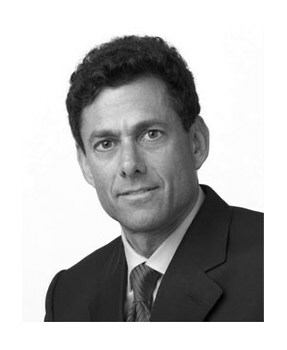 Disclosure(s): Strauss Zelnick, Chief Executive Officer and Chairman of the Board of Directors of Take-Two Interactive Software, Inc., is the head of ZelnickMedia, an investor in both Take-Two and Defy Media, LLC, our parent company. This article was published without approval or consent of ZelnickMedia or Take-Two.